The Alessio collection is totally awesome! A fantastic collection to use for pages about all the uniqueness and the love we have for our children and all that’s special about them to you! But I see a lot more features to use this collection because of the beautiful colors and the grungyness! 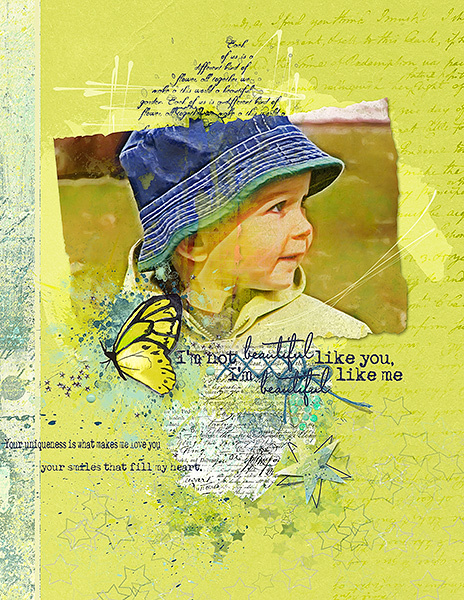 Love the artsy look you can create with this collection!